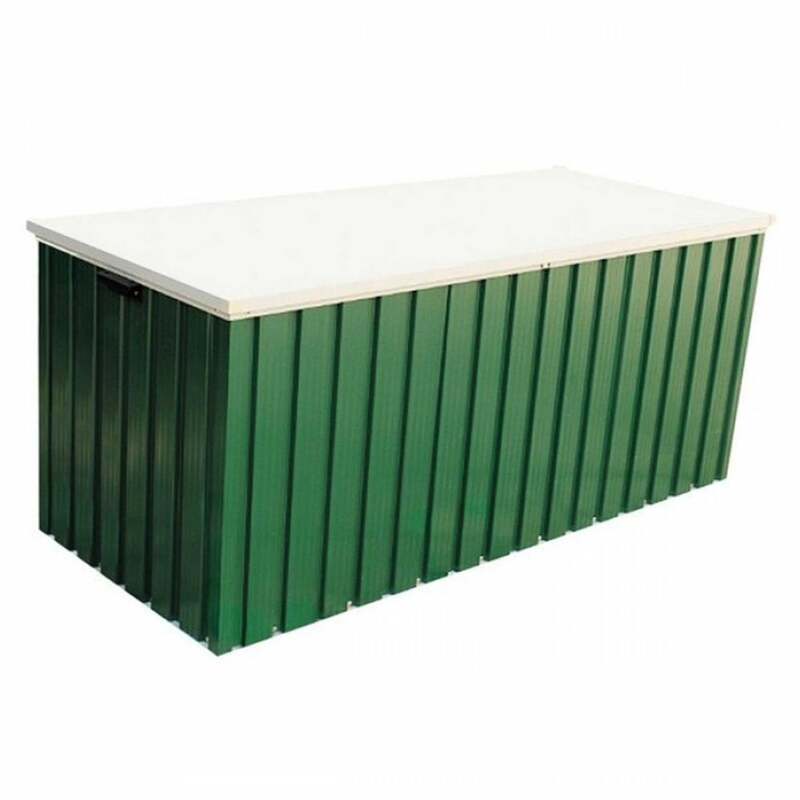 Storemore Emerald Metal Storage Box: This handy Storemore Emerald Metal Storage Box can be used for a variety of different purposes from storing the cushions from your garden furniture, to garden tools and play equipment. The storage box is made from hot-dipped galvanised steel which has an 8 year manufacturer’s warranty against perforation. This storage box can be used both inside and outside and includes a latch so that you can add a padlock to the store for added security. This storage box is available in either 4ft x 2st or 6ft x 2ft and comes in Green or Anthracite Grey to provide you with a box that suits your size and style requirements. There are handles on each side to make this box easier to move around the garden or house.